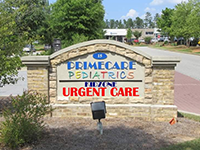 PrimeCare Pediatrics is a modern pediatric practice dedicated to the health and wellness of children. It is the pediatrician office of choice in Newnan, Georgia. We take pride in the fact that we are interested in, and love to become involved with, your child or children, your family, and our community. We very much cherish the confidence placed in us as a responsive, trusting and caring practice. Our commitment is to offer minimal wait times, same day sick appointments, and open access scheduling. Our goal is to make sure you have quick access to, and enough time with, our providers and staff to answer all your questions in a satisfactory manner. We offer services that are safe, efficient, patient-centered, timely and efficient. Your satisfaction is important to us.